The new Brokk 500 brings 40% more demolition power than its predecessor. And it provides the ability to size up the attachments, such as the powerful BHB 705 breaker. With the new reinforced design and additional work reach over the Brokk 400, while keeping about the same size and weight, it sets a new benchmark in power-to-size ratio in its segment. 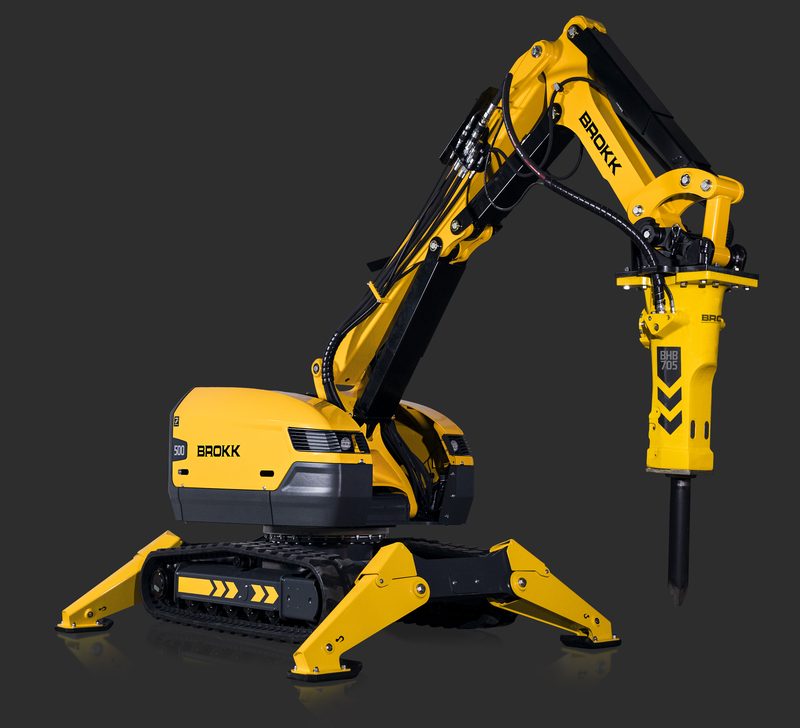 The Brokk 500 is equipped with Brokk SmartPowerTM – an intelligent and hardened electrical system that increases the power output for maximum performance and industry leading availability over the lifetime of the machine. To top it off, the machine also adds the clever improvements of SmartDesignTM that will simplify the daily maintenance. In short – stronger, smarter and tougher!